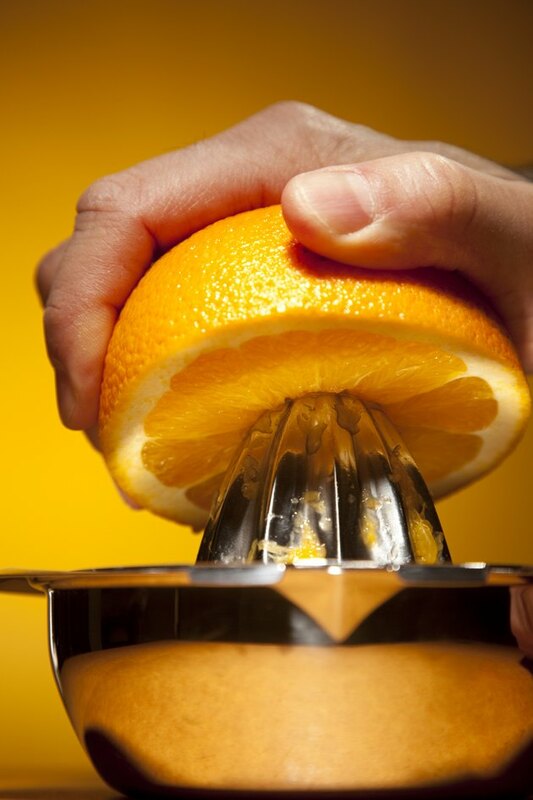 Juicing is an increasingly popular health alternative to dieting. Some people prefer drinking juiced fresh fruits and vegetables over eating them in their natural state. Others believe juicing provides a better method for your body to absorb the nutrients. However, according to MayoClinic.com, no scientific evidence backs the claims that juicing is better than consuming whole fruits and vegetables. Whatever the case, certain foods are beneficial for pancreatic health and can be juiced, if you prefer. Make a juice with dark, leafy vegetables, such as spinach. According to research published in "Cancer Epidemiology, Biomarkers and Prevention," dark, leafy vegetables decreased the risk of pancreatic cancer in a study in the late 1990s. All fruits and vegetables provided some sort of protection, but leafy vegetable offered the best protection. Juice string beans. String beans are high in potassium, which can help restore deficient levels. Include cruciferous vegetables, such as broccoli and brussels sprouts, in your juice. These vegetables are high in alkalizing elements. Throw blueberries into your juicer. Blueberries not only provide some sweetness to your juice, they are high in antioxidants and help improve pancreatic health. Add red grapes to your juice. The skins of red grapes contain an essential antioxidant for your pancreas. Consider adding herbs to your juice. According to the University of Maryland Medical Center, holy basil, cat's claw, rhodiola and Indian gooseberry may help improve pancreas health. Do not add all of these ingredients to the same juice. Consider making one juice with the vegetables and one with fruits. Make only as much juice as you can consume at one time. Fresh juice grows harmful bacteria if it sits for too long.